St. Joseph Center’s work is overseen by a dedicated Executive Management Team that consists of President & CEO Va Lecia Adams Kellum; Chief Operating Officer LaCheryl Porter; Vice President, Finance & Administration John P. McGann; Vice President, Community Programs Courtney Kanagi; Vice President, Development & Communications Paul Rubenstein; and Vice President, Operations Tifara Monroe. Dr. Va Lecia Adams Kellum joined St. Joseph Center in 2008. During her tenure, St. Joseph Center has tripled its staff, expanded its range of services, and broadened its geographic reach to encompass all of LA County, with major service centers on the Westside, in South Los Angeles, and in Downtown LA. Under Dr. Adams Kellum’s leadership, St. Joseph Center consistently applies best practices to serve new populations and new areas through significant collaboration with governmental, nonprofit, and private sector partners. The Center is a trailblazer in deploying integrated, multidisciplinary teams to help the most vulnerable homeless individuals obtain and maintain stable housing. Since the inception of LA County’s Coordinated Entry System, St. Joseph Center has served as the lead agency for both Individuals and Families on LA’s Westside. 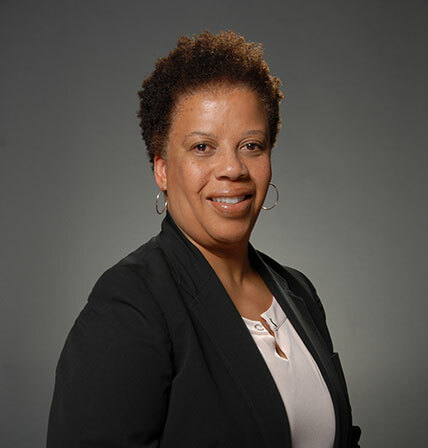 Dr. Adams Kellum serves on the California Department of Housing and Community Development’s No Place Like Home Program Advisory Committee, a role she was appointed to by Governor Jerry Brown and is continuing in under Governor Gavin Newsom. She is the former Chair of the Westside Coalition and represented the Westside on the Los Angeles Homeless Services Authority Coordinating Council for many years. She currently serves on the board of directors for Tarzana Treatment Center, located in the San Fernando Valley, and Abode Communities, based in Downtown LA. Born and raised in Southern California, Dr. Va Lecia Adams Kellum is a graduate of Culver City High School. She received her B.A. from the University of Southern California and earned an M.A. from Ball State University before completing her Ph.D. at Stanford University. Throughout her doctoral program, she examined the factors that create stress in ethnic minority youth, such as poverty, academic underachievement, and family dynamics. 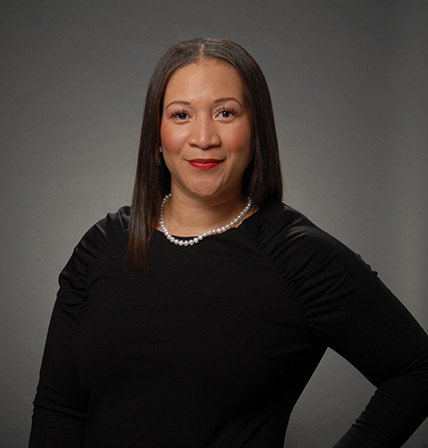 Prior to coming to St. Joseph Center, Dr. Adams Kellum applied her research for six years as the Director of Transitional Living for United Friends of the Children (UFC). While at UFC, she helped create and oversee Pathways, an 18-month transitional living program that assists former foster youth with housing, college readiness, career development, financial assistance, mentoring, and individual counseling. LaCheryl Porter is a native of Los Angeles and has extensive experience in housing for special needs, low income, and homeless populations. She began her housing career as a Housing Advocate for people with AIDS/HIV in San Francisco. LaCheryl went on to work in more administrative positions with the Oakland Housing Authority and as a private practice attorney where she took on cases that involved housing, real estate, landlord/tenant disputes, and contracts. LaCheryl has deep knowledge in many aspects of permanent supportive housing and affordable housing from her experience as a Project Manager at the Community Development Commission for Los Angeles County and Skid Row Housing Trust, where she was the Director of Resident Programs, overseeing services to residents in 1600 units of permanent supportive housing. 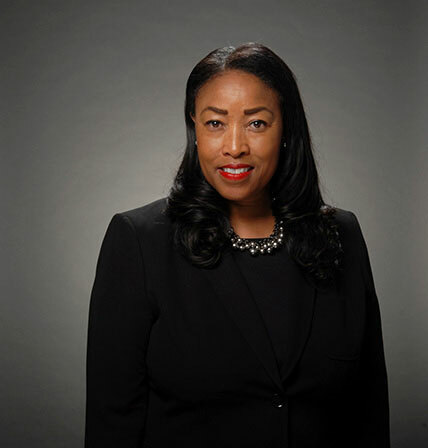 LaCheryl holds a BA from Cal State Long Beach, a JD from New College of California and is a member of the California State Bar. La Cheryl is heading St. Joseph Center’s strategic initiatives related to housing developer partnerships and resource management. John P. McGann brings significant experience in both the public and the private sectors. Before joining St. Joseph Center, John was the Vice President of Finance and Administration for Didi Hirsch Mental Health Services. Prior to working at Didi Hirsch, John served for 13 years as Vice President of Finance and Administration for Frantz Medical Development, a designer and manufacturer of medical devices and surgical equipment. Before joining Frantz Medical, John was the Chief Financial Officer of the Cleveland Museum of Art, a non-profit cultural and educational institution. John began his business career with the accounting firm KPMG after receiving his degree in business administration from Kent State University. While at KPMG, he earned his CPA certificate and was responsible for a broad spectrum of clients from the for-profit and not-for-profit sectors. He also served as an instructor in the Firm’s national training program. 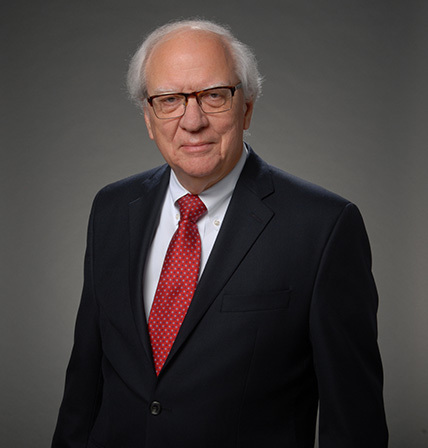 In addition to his professional career responsibilities, John was president of the Alumni Advisory Council to the College of Business at Kent State and was a director and president of the NE Ohio Chapter of the Financial Executives Institute. He has also served on the boards of several not-for-profit social service and United Way Agencies. Courtney Kanagi was born and raised in Southern California. She holds a degree in Sociology from California State University, Northridge and has significant experience addressing homelessness in the community. Prior to joining St. Joseph Center she spent eight years at PATH, where she held a number of leadership roles. Most recently, as the Director of Street Outreach, she helped develop and oversee outreach teams that served those living on the streets. Courtney brings strengths and experience in housing and community engagement; she is now working on St. Joseph Center’s behalf with Venice Forward, a consortium of stakeholders dedicated to developing local solutions to homelessness. Paul M. Rubenstein has worked in nonprofit fundraising for nearly 20 years. He manages St. Joseph Center’s private fundraising efforts and the pursuit of public funding sources, oversees in-kind donations, volunteer services and directs communications efforts. Before joining St. Joseph Center’s development staff in 2004, he worked with City Garage Theatre in Santa Monica, an acclaimed alternative ensemble that the LA Weekly called the “Best Theatre Company in Los Angeles.” At City Garage he obtained the group’s first public arts funding from Los Angeles County and implemented fundamental development strategies, including audience surveys and an annual campaign, for an organization that had little existing fundraising infrastructure. Tifara Monroe earned her B.A. from the University of California, Santa Barbara and has worked in the nonprofit sector for the past 15 years. Prior to joining St. Joseph Center, she served as the Program Manager for United Friends of the Children’s Transitional Living Program. She is responsible for the daily upkeep of multiple St. Joseph Center program facilities, addressing neighborhood concerns, coordinating with the onsite users of the Center’s Hampton Drive facility, and ensuring agency compliance with the terms of its facility’s conditions of approval. Tifara is a member of several social service organizations and is committed to serving the poor and disenfranchised.